Smart City revolution is coming to Italy, too. Some early projects were already done in the past, for example European Smart Cities project compared Ancona (51th), Perugia (52th), Trento (45th) and Trieste (49th) with other early smart EU cities, more recently the Rete città intelligenti was promoted by ForumPA with IBM, including smaller towns effort like Monteveglio with Transition Town or those involved in the ZeroCO2 Communities project. But it was the FP7 European Initiative on Smart Cities that has ignited many local Public administrations, such as Florence, Genova, Torino, Bari, Firenze, Milano, Parma, Palermo to launch new initiatives in order to take advantage of the opportunity of funding (10 000 – 12 000 M€ for a total of 40 000 M€ ). Obviously competition is hard since EU will co-finance only 25 large cities (>500 000 inhabitants) and 5 very large cities (>1 000 000 inhabitants) committing to implement the proposed demonstration, testing and deployment programmes in the 3 sectors – buildings, energy networks and transport and to go beyond the 2020 EU climate and energy targets. 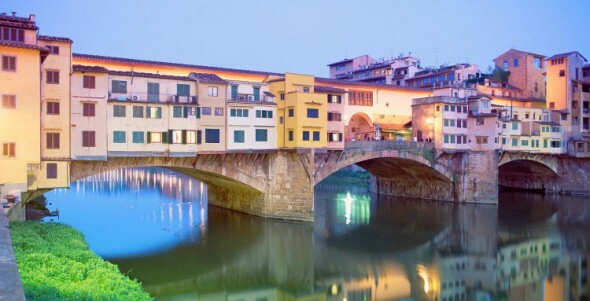 In 2013, Florence was awarded the title of “Smart City” of Italy. In an effort to be more transparent with its citizens, Florence shares the title of Smart City, given by the Milan-based communications technology fair, SMAU. The award, shared with Rome and Aquila, is given to cities that are making an effort to develop and implement forward-thinking ideas for residents and citizens of the region. Rome has put into effect a smart-card (the Carta Roma) which offers discounts and financial services to its residents, while Florence has long been a forerunner in the data transparency movement, with the city’s Open Data website, which is Italy’s third largest producer of data. The City of Florence has long worked to ‘open’ its data up to the public. It aims to be completely transparent and have all data verified online so it is clearly presented to the public. It is a ‘revolution’ that aims to change the rules of public administration in Italy. Along with its Open Data implementation, Florence also employs an Open Budget web program which presents a detailed breakdown of city spending. It is the only city in Italy to get a five star rating for quality and accessibility of information.